As the end of the first quarter of 2015 approaches, the New York Stock Exchange spoke with Leslie Pfrang, principal at Class V Group, a leading IPO advisory company. Leslie shared her thoughts on the current IPO market, the habits of the most effective CEOs, challenges faced by companies as they prepare to go public, and much more. 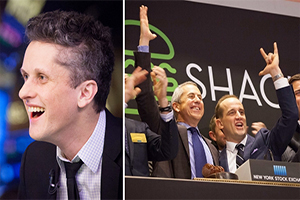 What is your assessment of the IPO market in early 2015? Leslie Pfrang: To date there have been 27 IPOs, which is less than at this point last year, and 15 of them have been in the healthcare space. So it's been slower in terms of the total number but if you look at the last 90 days - which would include part of December - IPOs have returned 17% on average over that time period, and according to Renaissance Research 64% of listings are above the issue price. This makes for a pretty healthy backdrop for the coming year. The reason I believe there are not so many coming to market right now is that last year was a bit of a rollercoaster at times, particularly in the tech space, and in the fourth quarter there was a big correction for Internet companies. So I think it's possible that companies are treading a little more carefully. The other big factor is that some companies have raised substantial late stage and pre-IPO rounds at generous valuations. In private rounds, the company's projections may not have endured the same level of rigorous refinement that an IPO process applies. Also, public market investors have been more demanding on IPO valuations. This combination of haircuts to public company forecasts and disciplined public investor valuations at IPO is also a gating factor for companies who need to grow into those valuations. Or for those who may have missed optimistic forecasts as a private company. With that said, the bottom line is that it is a strong market for IPOs when they're executed well and in those cases people do want to buy in to them. The next question would be what contributes to a successful IPO, and the answer is that those companies that really understand how to communicate with Wall Street, to set expectations and hopefully beat them, will find success. In which verticals do you see the most IPO activity, and what do you feel are the contributory factors to this? LP: Outside of the aforementioned healthcare space it's kind of fragmented. There have been a number of great consumer deals lately; Shake Shack obviously was a home run. There's also been activity in the financial sector, both traditional and with some of the technology disruptors like Lending Club and OnDeck. Other than those, it's been a mish-mosh....technology, oil and gas, industrial, REITs. But healthcare has really been the story with respect to the pure number of IPOs. In which areas do you typically see companies needing the most help as they prepare for their IPOs? LP: One of the things we often see is that companies receive lots of calls from banks, investors, the press, and many service providers all with an agenda that may not be in the best interest of the company, and which are very distracting to a management team trying to scale a fast growing business. We help them sort through all that so they can stay focused on the business and avoid mistakes. At Class V, we try to look at things holistically and help our clients leverage their IPOs not just as financing events, but to realize the full scope of their potential. We look at an IPO as an opportunity for a company to develop relationships and build the team that is going to carry the company forward. Financing is an obvious need but the company could also require M&A services, or it might want to expand internationally. We aim to help the company find the best possible partners for the long term to support all those ambitions. I also think that companies frequently need help in positioning their story for public investors. At Class V, our experience is unique. My partner Lise was an institutional investor and then worked as a Wall Street research analyst before leading Google's IPO. Then she founded Class V Group. I actually sold hundreds of IPOs to public investors so we have a breadth of experience in helping companies position their stories for the public markets. An IPO is a lot of work so we also help as much as we can with internal organization, getting prepared for what the company will be asked to produce and the things it will be required to do. An IPO is a huge opportunity for the whole organization – it helps attract and retain employees, it's important for customers, for lead generation and for existing and new partnerships. What habits/behaviors do the most effective CEOs exhibit in the run up to their IPO? LP: To my mind, there are two key things. First, the ability to build a strong team, a really capable bench. If a company is going public then in all likelihood it’s growing fast, and the IPO process is time-consuming for the CEO and CFO so they have to have very strong support. That team has to step up and help run the business, they have to take on more responsibilities and act more strategically. A CEO who is able to build that team - and, crucially, can effectively delegate to it – that’s incredibly important to the success of the IPO. The second part is communication. I don’t mean someone who is a great orator, who can give a good speech in public. I mean someone who can tell the company’s story both externally and internally. 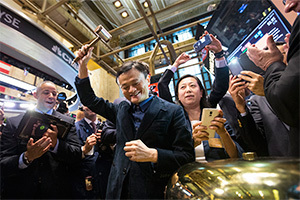 To come back to my prior point, the IPO is so much more than a financial opportunity – there is a need for effective communication to employees, to customers, to partners. The story has to be dependable and effectively told. Investors are going to do their homework, so you have to make sure the story you’re telling is consistent with what their own research will uncover. What factors should companies consider when thinking about their next move towards growth? How should they evaluate the decision between taking on venture funding, looking at acquisitions or moving toward an IPO? LP: Companies that are planning for growth have to be able to answer a number of key questions: Is the company positioned to scale? Is the business model sturdy? Are the right teams in place across the organization? If we take a company that has only one core product or service but has a vision for expanding their offering, then looking at acquisitions might be the right way to go to broaden their platform. But if it's looking to adjust its business model in order to grow, or effect some other kind of major change that might take time to work its way through the model, then venture funding could be the way. That said, if a company has strong visibility on future growth opportunities, can forecast it's business reasonably well and aspires to achieve all the good things that come with a successful IPO, the process can be a very positive experience...and even, dare I say it, fun! Note: The opinions expressed herein are those of the interviewee, and do not constitute investment advice or the endorsement of any company, product, service or publicly-traded stock.